Few combines can boast a production run spanning more than 30 years, but between 1946 and 1978 more than 65,000 Claas Super combines were produced. Celebrating its centenary this year, Claas has restored a very early example at its Saxham, Suffolk workshops, and the machine’s first outing was at an event in west Suffolk where dealer Manns had it displayed next to a brand new Lexion 760. David Williams went along to find out more. Celebrating its centenary this year, Claas has restored one of its earliest Super combines in the workshops of wholly-owned subsidiary and dealer, Manns. The first prototype of the Super was manufactured in 1942, and following successful trials production was started at the Claas Harsewinkel factory in Germany in 1946. In 1947, Saxham agricultural machinery dealer J Mann & Son, an agent for Lanz tractors, took delivery of the first 11 machines to enter the UK. “The Super was way ahead of its time,” commented Manns director Paul Moss (left). 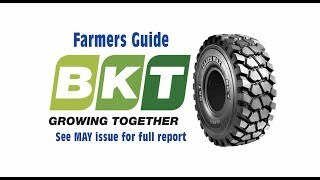 “It was available with either 7 or 10ft cutting tables, could be used either static, as a threshing machine, or in the field for direct cutting, and it was available with a choice of a bagging system or a grain tank. Other options included a built-in baler, with a chaff saver for animal feed, or a straw chopper.”Few tractors in use during the 1940s had the power available to pull and power the machine, the operator’s manual stating that for stationary threshing 18hp was needed, and for field harvesting 40-50hp. The German Lanz tractors sold by J Mann & Son were ideal for use with the harvester, and on display with the Super at the show was a Bulldog 10266 model, with its single-cylinder 10.5-litre engine rated at 45hp, typical of those supplied by the dealer during the late 1930s.Although restoration of the Super combine for the centenary year had only recently been completed, it was not the first time this machine had been in the limelight. 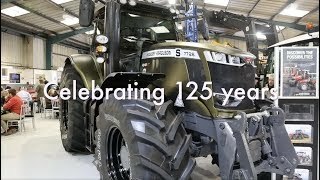 Made up from two trade-in Supers, one from a Mr Sizer at Lakenheath, and the other from Mr Mayhew at Ousden, by staff in Mann’s Saxham workshops in 1973, it was displayed at the Royal Show that year, celebrating 25 years of Mann’s representation of the Claas brand in the UK. At that time it was displayed beside the very latest in technology; the Dominator 100 with its claimed capacity up to 16.0t/hr, showing how far things had come since the Super which could harvest 2.5-3.0t/hr. “In 1973 the Super was restored by Don Nye who had been at Mann’s all his working life, and whose son now works in the stores at Saxham. Having been in the back of the warehouse most of the time since then, it has been thoroughly overhauled again, completely stripped and now is in almost as-new condition,” explained Paul. “This time the work was carried out by Kevin Pettit, another long-standing employee with the company.”The combine is quite difficult to move around the country as a lot of disassembly and reassembly is needed each time it is moved by lorry, and the intention is to have it on the company’s stands at the Suffolk and Norfolk shows, as well as at the Claas centenary celebrations due to be held at Saxham later this year.”We are delighted to have restored an important machine in the company’s history to such a high standard,” said Paul. “Having it next to the latest Lexion on the stand certainly shows how things have come on over the years and it is sure to create a lot of interest from farmers and the public alike.” The Super had either 7 or 10ft header options, and was available with a grain tank or a bagging platform.